1. How did you start creating in Tiltbrush? What were you doing before? Previously I was a 2D illustrator and graphic designer. But when I opened up Tiltbrush, I fell in love. Obviously the mind bending aspects of drawing in 3 dimensions are great, but strip away the novelty factor and there’s still a lot of practical appeal. I immediately identified 3D mark making as one of the most important skill sets for digital artists moving forward. The jury’s still very much out on that bet, but I’ve yet to see anything to convince me otherwise. 2. How many hours a week do you spend in Tiltbrush? Sometimes (I get) stuck on desktop for weeks on end like a barbarian, but the math is as follows: I have 1,366 tilt hours logged since mid October of 2016, adjusting for idle time and collabs, it’s just under 30 hours a week. 3. How many hours did you spend on this Game of Thrones piece? Too many, I was working on it with the talented David Dominguez and we completely lost sight of trying to make a visually compelling piece at points. We decided our time was better spent obsessing over getting the exact architecture of the room correct, it was not. Probably around 150 hours by the time it was all done. 4. What inspires you to start creating something in Tiltbrush? In general the fact that it’s new. 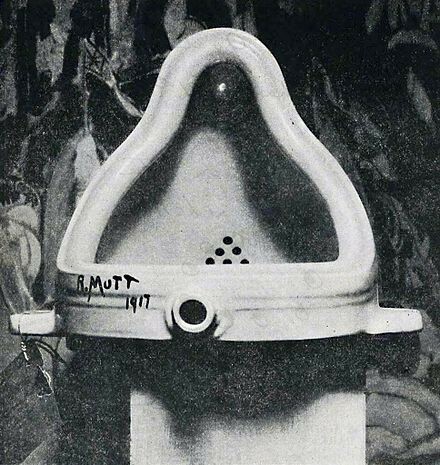 The Duchamp’s urinal piece just celebrated its 100th anniversary, video and performance art have turned 50, so that should put into perspective how starved this generation is for an opportunity to innovate. 6. As an immersive artist, what tools do you wish existed to better help with creations? I would love to see a blocks to tilt workflow open up. Beyond that there’s an obvious laundry list of features that would be helpful, but it all comes down to the keyboard. Until we have seamless integration or something that offers a similar amount of control it’s tough to replace desktop functionality. 7. What is the hardest part about being an immersive artist? We are essentially beta testing a new way of life. The physical toll would probably be the most surprising to people not working in the medium, for instance my feet, shoulders and back are working overtime. A few days after finishing this Game of Thrones piece I had to buy a neck brace due to the strain of carrying 1.2 lbs on my forehead for 12 hours a day. 8. Do you have any advice for people who want to start creating immersive art? Just do it ASAP, you have about another 6 months to a year before it really picks up. Right now it’s a tiny community and the power players are incredibly accessible. 9. What new projects are you excited about? I‘m working with Superbright on an app we’re calling Drawn, a VR painting based MMO; imagine if Tilt and Minecraft had a baby. We’re setting out to do two things, gamify VR painting and solve VR art viewing issues. Google has made some great strides in getting our work to the world, Drawn takes the next step and sets out to make everything artists are creating viewable in game, in real time. So as a player you’ll be able to explore the world and see what everyone is creating exactly the way they see it.